Check out these fantastic resources to enhance your career understanding and development. Research is crucial ahead of big decisions. Use when planning your GCSE, A-Level, post-Dean Close choices. iCould.com provides 1000 personal video stories, detailed job information, plus practical tips, insight and advice. Take the Buzz Quiz to find out which jobs may suit you. eClips-Online.co.uk provides regularly updated information on over 1,000 jobs and careers. It also offers advice on topics relating to exam choices, training, and employability skills. 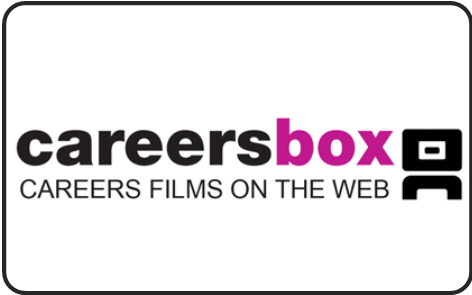 Careersbox.co.uk is the national careers film library, a free careers resource showing hundreds of real people doing real jobs. - Not much extra detail. Morrisby.com provides up-to-date career information, requirements and routes to careers, as well as assessments and customisable results to plan future choices. HeapOnline.co.uk is a good starting point for research into university degree courses available to you. Use Course Search to search by subject or title and within specific UCAS Tariff points ranges for 2018 entry. Use ACCESS CODE YPLUEUWU to create a personal account here. UCAS.com is the standard portal for university and apprenticeship applications. It is a great resource for exploring options after GCSE and A-levels and, if applying through UCAS, the place to create, submit, and track your application. RateMyApprenticeship.co.uk is a key hub for exploring apprenticeships at all levels. It offers information, advice, and guidance on securing the best apprenticeships available to students post-GCSE and post-A-level.